New Melones Lake is currently holding 536,978 acre-feet of water. The lake level dropped less than one foot this past week and it appears more water is being held and less is being released. It is currently at 865 ft. above sea level and 220 ft. from full. The water clarity is clear in most of the lake with a slight stain in some areas. The water temperature is warm and slightly cooling, with the average being 76-80 degrees. The concrete ramp is CLOSED and longer in use. There is a courtesy dock on the dirt launch which will be in place for the remainder of the summer and until the concrete ramp is open again. There are a few anglers targeting trout and catching some 2 to 4-pound fish. This can be a good time of the year to target trout in the deepest portions of the lake. They are holding in 80'-100' of water and gorging on shad. The surface temperature will continue to drop and the fish will start to move up in the water column. Trolling anglers have been finding success fishing in deep water on the main lake and over the existing river channel. Try using large spoons and trolling at a faster speed. Also a tandem spoon rig is a good choice. The two spoons swinging side-to-side will mimic fleeing or wounded shad and often trigger strikes. Speedy Shiners and Needlefish will work well. Night anglers are catching some nice fish under a submersible light. The key is to anchor near deep water and draw the bait and fish toward the light. Night crawlers, live minnows and Power Bait are good choices for bait. Also, jigging spoons and artificial minnows fished directly under the boat will work. Bank anglers should head to the high country and fish some of the local lakes and streams. 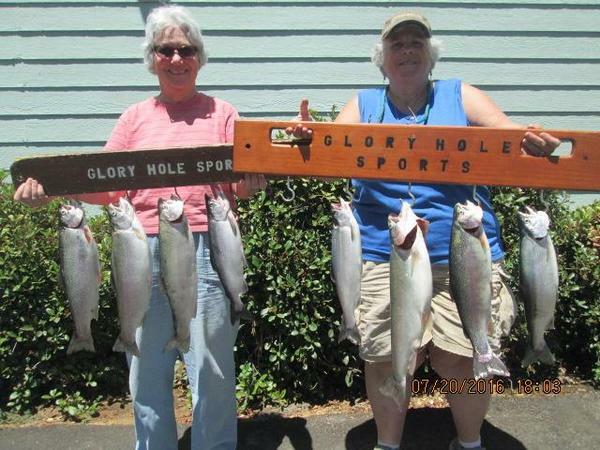 Glory Hole Sports Big Fish of the Week goes to Rod Smith of Sonora who caught two huge rainbows trolling in deep water. His biggest weighed 3-pounds, 10-ounces. He reported catching his fish on the main river channel while rolling shad. The kokanee are on the move upriver to spawn and few fish are being caught. Try trolling large presentations that will disperse water and create sound and vibration. There are not many kokanee being caught, but if you do hook into one there is a good chance it is a nice fish weighing over 2-pounds. Most of the fish will be in the deepest areas of New Melones in the main body and the old river channel. In years past, the late season kokanee were caught on the outside bend above Carson Creek and above the 49-Bridge. Tie an Oregon Tackle Scent Chamber inline to ensure you are leaving a scent trail. The bass fishing has been good for numbers, but not great for catching big fish. Many of the bass are schooling and chasing shad off of the shoreline. The shad are in deep water where it is much cooler. The bass will ambush the shad as they move toward the surface and main lake structure. The mornings and evening there will be a small window of opportunity to catch a bunch of fish while they are feeding. This is a good time to throw topwater baits and reaction type baits. During the day the bass are suspending and can be caught with finesse presentations. A small shad patterned worm fish on a dropshot rig will work. Also, try using small swimbaits fished at various depths to find schools of fish. Sometimes the fish will key in on multiple shad and not just one here and one there. This is a good time to throw a multi-lure presentation such as an umbrella rig or double fluke rig. Match the size of your swimbaits to the size of the shad they are feeding on. PLEASE PRACTICE CATCH AND RELEASE. Take photos and carefully release the fish back into to the lake to maintain a healthy fish population for generations to come. 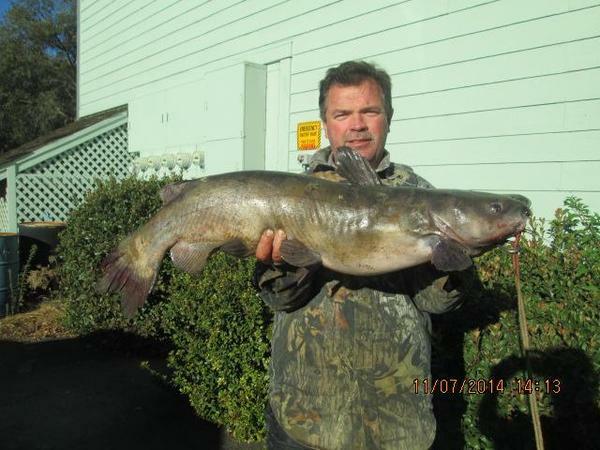 This is great time of year to target catfish and many of the largest cats will be caught in the late summer and fall months. Most of the large catfish are caught in fairly shallow water ranging from 5' to 25'. When fishing from the shore it is best to make short casts or cast down the bank away from where you are sitting. From a boat, look for shallow flats, humps and saddles where the catfish will move up and feed. 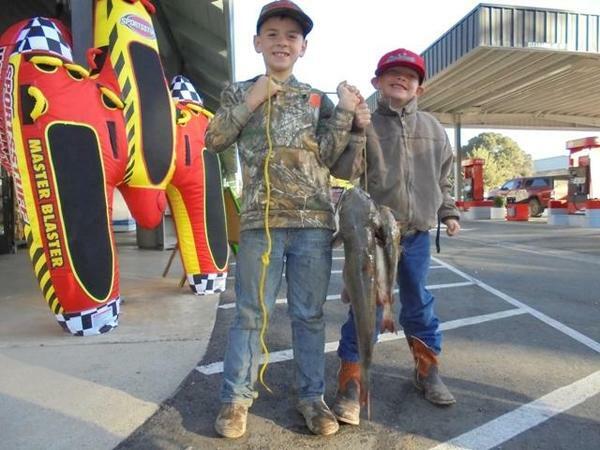 Catfish on New Melones will feed heavily on small sunfish and shad. Try using frozen shad and live minnows to offer them a meal they are accustomed to eating. It is also a good idea to vary your presentations throughout the trip. Many catfish are caught on chicken liver and nightcrawlers. Switch your bait, depth and area until you find where they are located and what they want to bite. The crappie bite has slowed and there are very few anglers targeting them. In the late summer the best time to target crappie is at night. They will suspend in tall timber near deep water and feed on schools of shad that swim past throughout the night. Try using live minnows or mini jigs fished under a slip float.